Dell XPS 15z: "The Thinnest 15-Inch PC On The Planet"
Earlier this month, Dell teased an upcoming laptop on its Facebook page. The shrouded portable hinted that Dell would be attempting to merge high style with high tech specs. Today, the curtain was pulled back to reveal the all-new Dell XPS 15z, a laptop that Dell says is the "Thinnest 15" PC on the planet." We&apos;re guessing Dell isn&apos;t including the 15" MacBook Pro in the "PC" category as Apple&apos;s laptop measures in at .95", while the XPS 15z is .97". Either way, it&apos;s super-slim, and very well-designed. The body is crafted out of anodized aluminum and features a backlit keyboard. 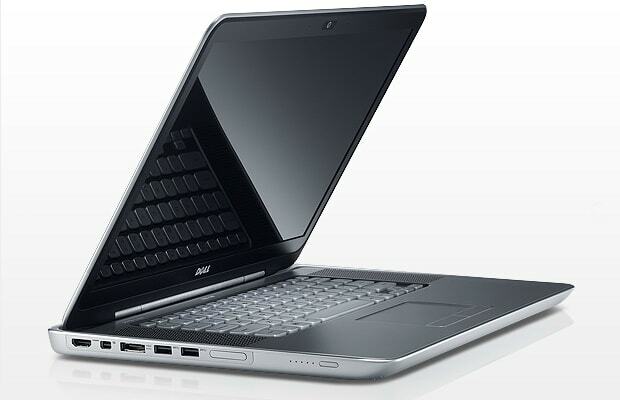 Under the aluminum, Dell packs in second-gen Intel Core i5 and i7 processors that range from 2.0 GHz to 3.4 GHz. Video and graphics duties are handled by NVIDIA&apos;s GeForce GT 525M that can switch to power-saving mode when all the grunt is not needed. Memory starts at 4 GB and is expandable to 8 GB. Outputs include: HDMI 1.4, a mini display port, a nine-in-one card reader, and 2 USB 3.0 ports. Battery life is estimated to be around eight hours. How much will all this cost you? Not too much, actually—the XPS 15z line starts at $999 and is available now from the Dell online store.